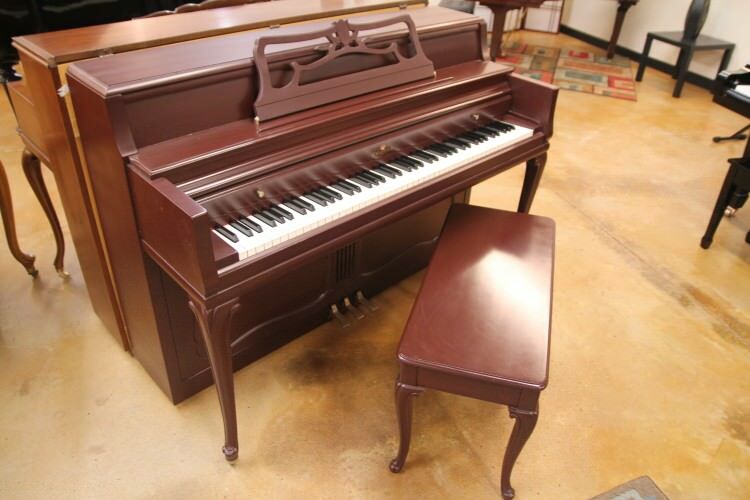 Whether you’re a first-time piano buyer or an accomplished pianist with limited space, this beautiful Wurlitzer Queen Anne console piano will provide years of enjoyment. 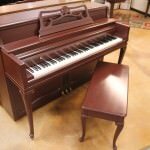 It’s space saving size will accommodate even the smallest of spaces. 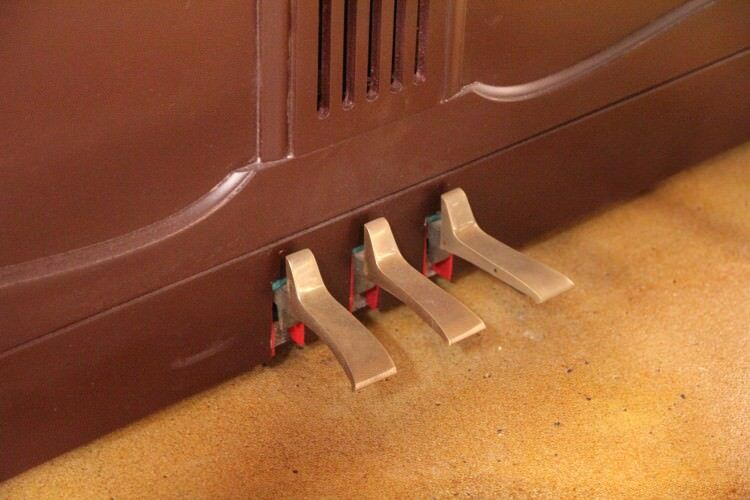 This Wurlitzer console is in great condition. 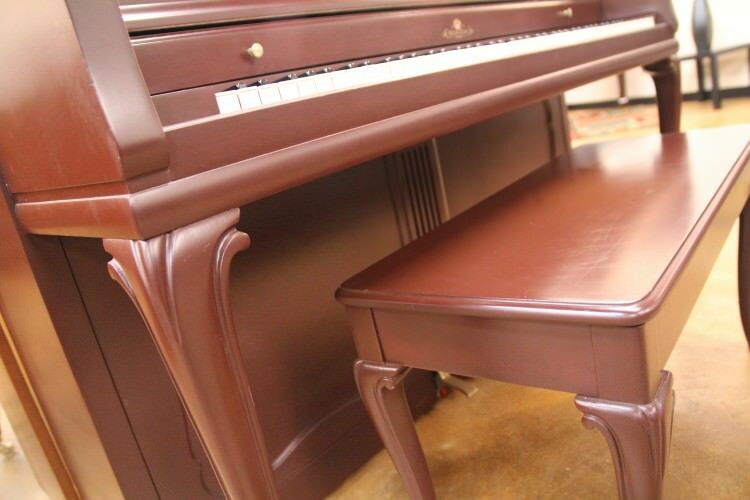 It has been completely re-finished in a beautiful cherry satin finish, making this piano the perfect addition to any decor. 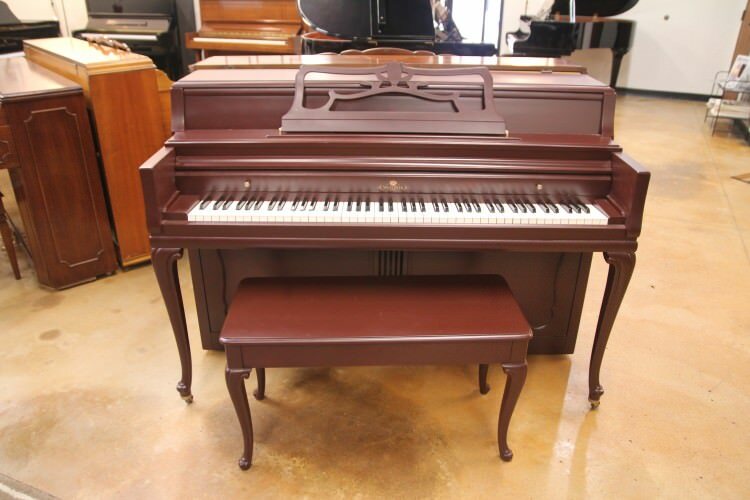 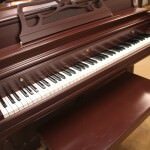 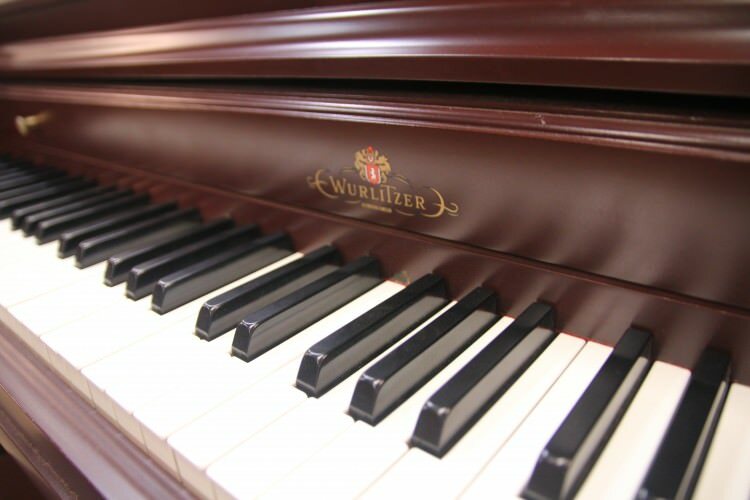 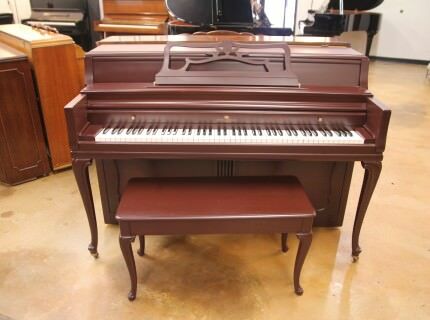 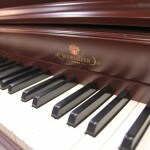 The Wurlitzer Console Piano is durable, easy to play and simply a great value for the price. 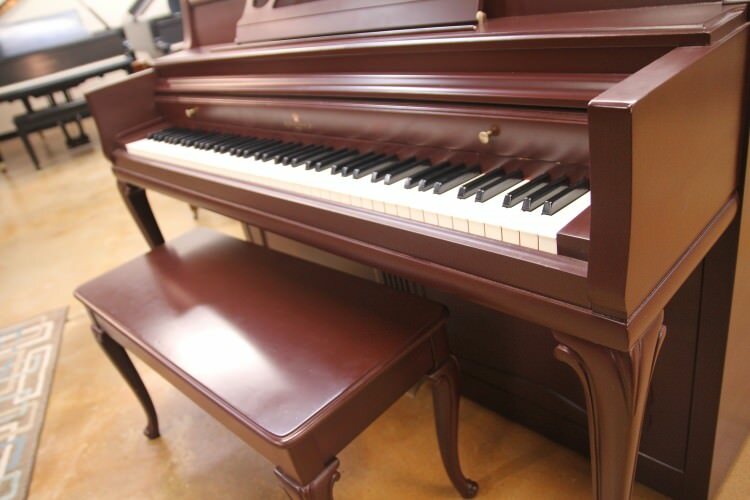 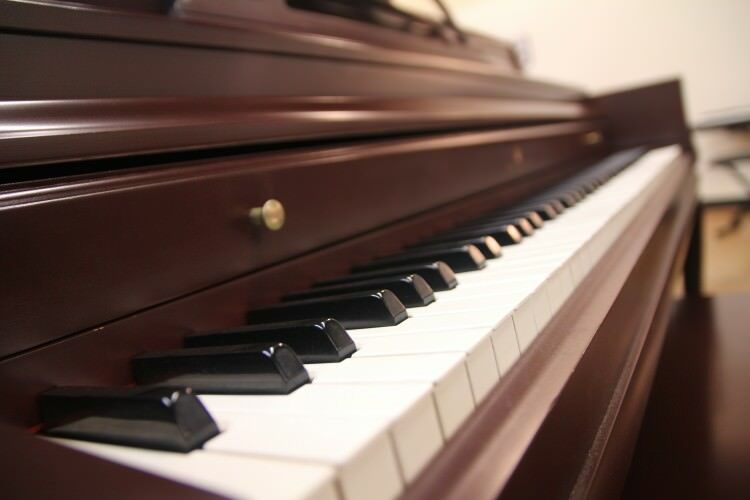 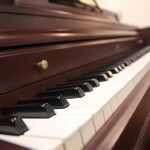 Call today to schedule your appointment or visit us during our convenient showroom hours to see and hear this piano. 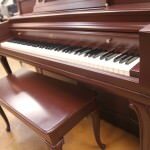 At this price, it won’t last long! 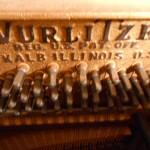 Established in 1856 by Franz Rudolph Wurlitzer in New York. 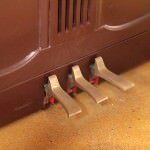 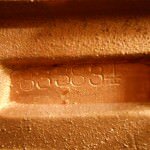 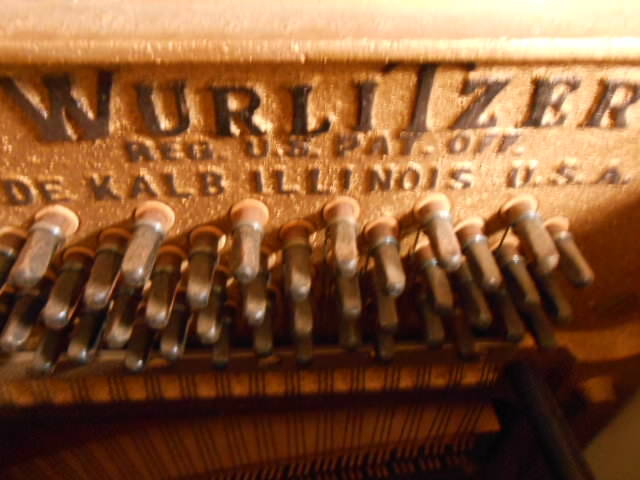 The Wurlitzer history dates back to the early 17th century to Hans Andreas Wurlitzer a famous violin master craftsman. 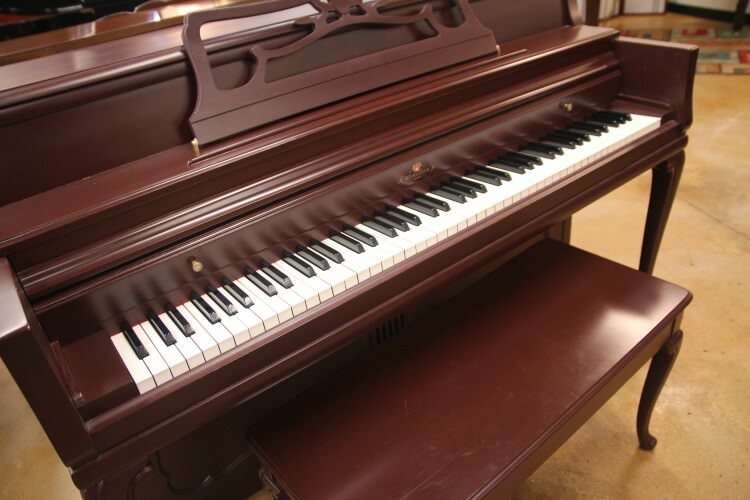 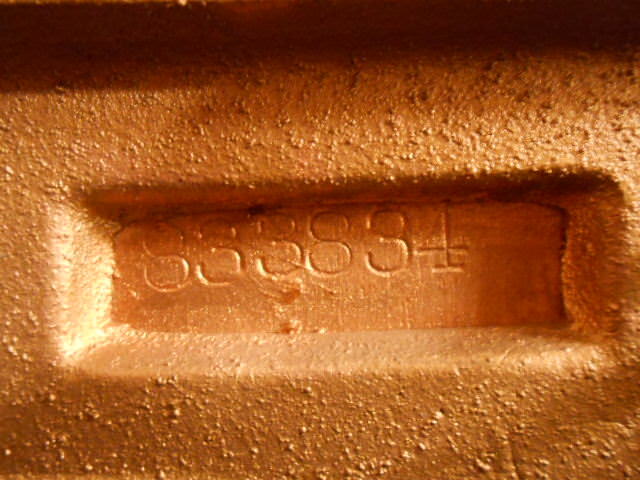 This piano was built in the Wurlitzer factory in North Tonawanda, New York. 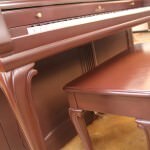 Full size console piano with direct blow action.